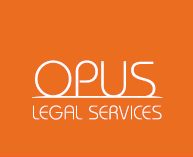 OPUS Legal Services take pride in providing clients with reliable, personal advice and professional legal counseling. We represent individuals as well as corporate and institutional clients from several different countries in addition to Iceland. OPUS Legal Services are located right in the city centre of Reykjavik, next door to the District Court and the Parliament, at Austurstraeti 17, 101 Reykjavík. In May 2012 former Icelandic Prime Minister Geir H. Haarde joined OPUS Legal Services as a senior consultant on international relations, an important part of our operations.